Drum shades can be cleaned using a lint roller or a microfiber cloth. The lining can be easily vacuumed & wiped with a cloth if necessary. 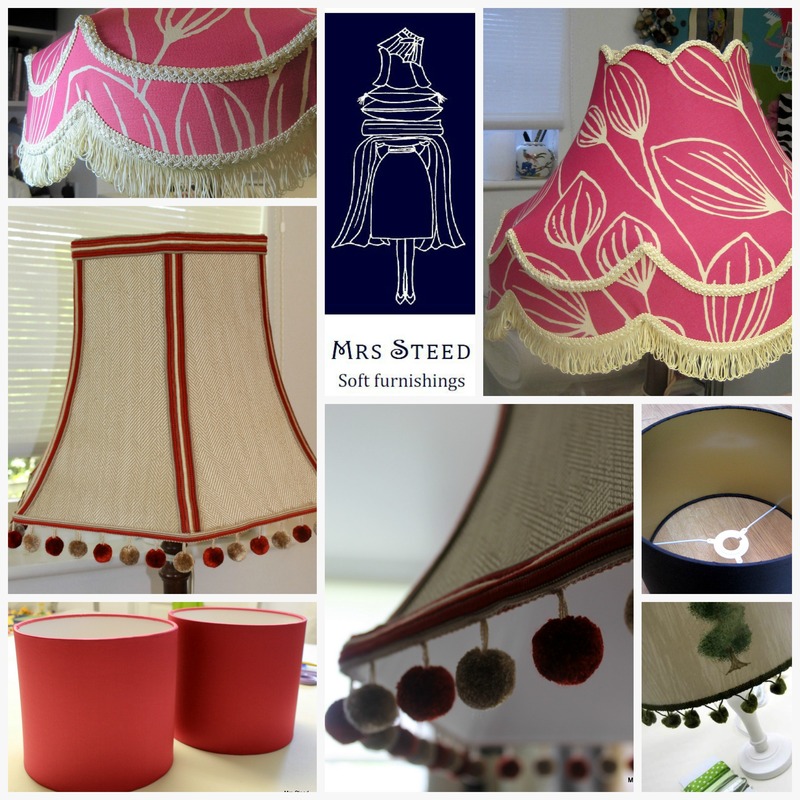 Fabric lampshades can be carefully vacuumed using the upholstery brush attachment or by covering the crevice tool with tights (to prevent threads being pulled loose). Alternatively a hairdryer on cool setting can be used. For fragile lampshades an artists brush can be used; starting at the top, working your way down the shade in long sweeping motions to remove any dust. For silk shades a ‘Dry magic’ lampshade cleaning sponge can be used. These are reusable & easily found on-line. 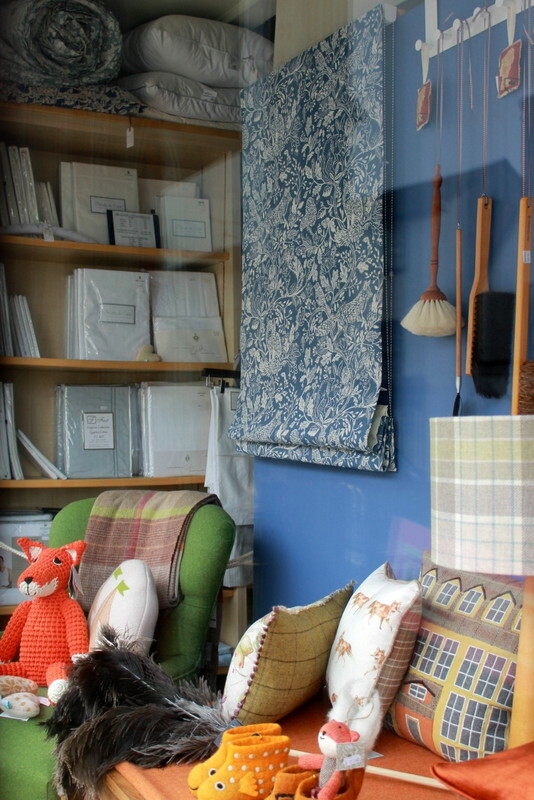 I have to say Lloydwaters have an exceptionally nice window display at the moment! 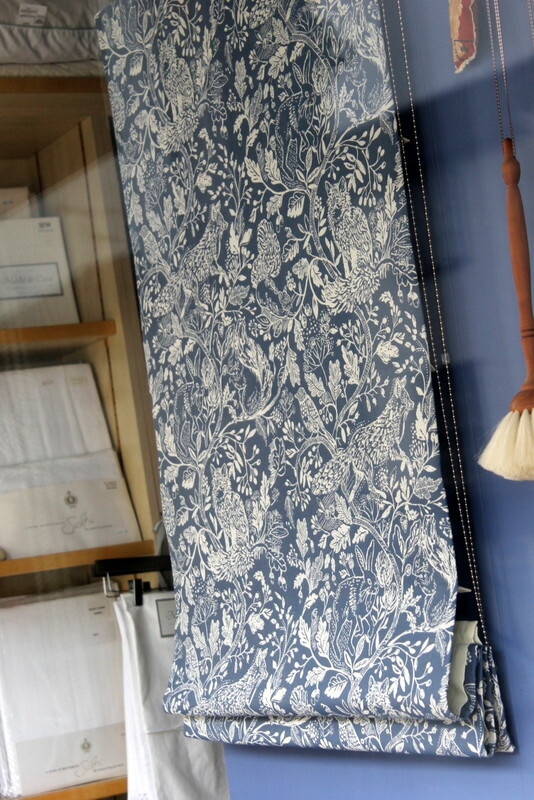 Lloydwaters is the jewel in Great Dunmow’s crown; a unique & stylish department store which they rightly claim is packed full of “things they love & things you will need”…& currently sporting a gorgeous petrol blue Cademuir roman blind. 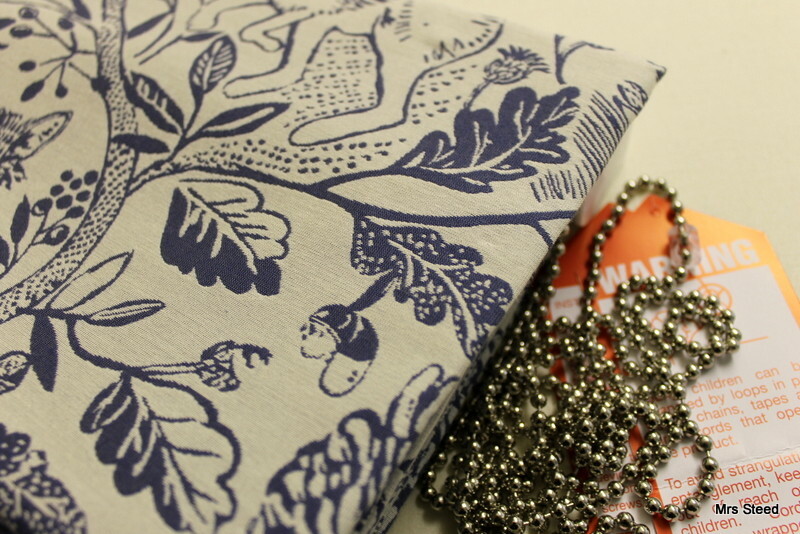 This is one of a pair of roman blinds made for the shop display, the reverse colourway will also feature in the window.